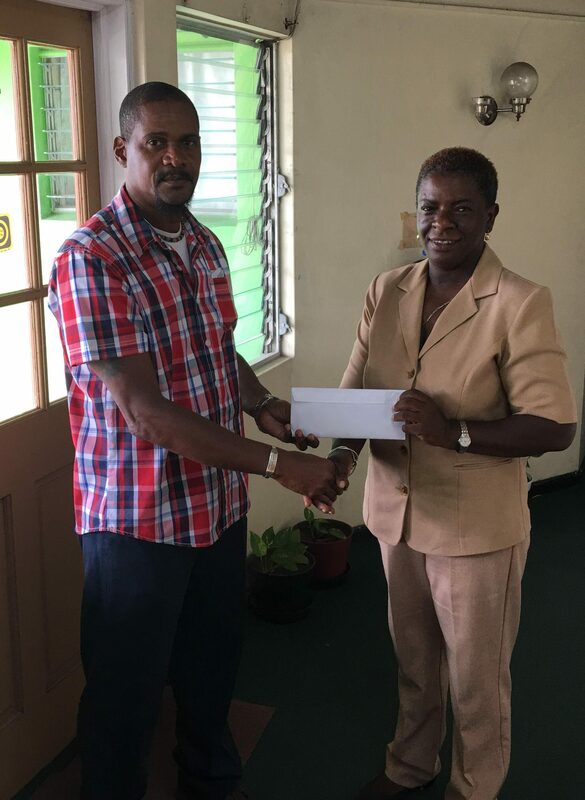 Basil Chambers hands over the contributions from his charity cricket match to Veronica Brown of the Meals on Wheels charity. An approaching weather system did not stop Sunday’s charity match to raise funds for Meals on Wheels. 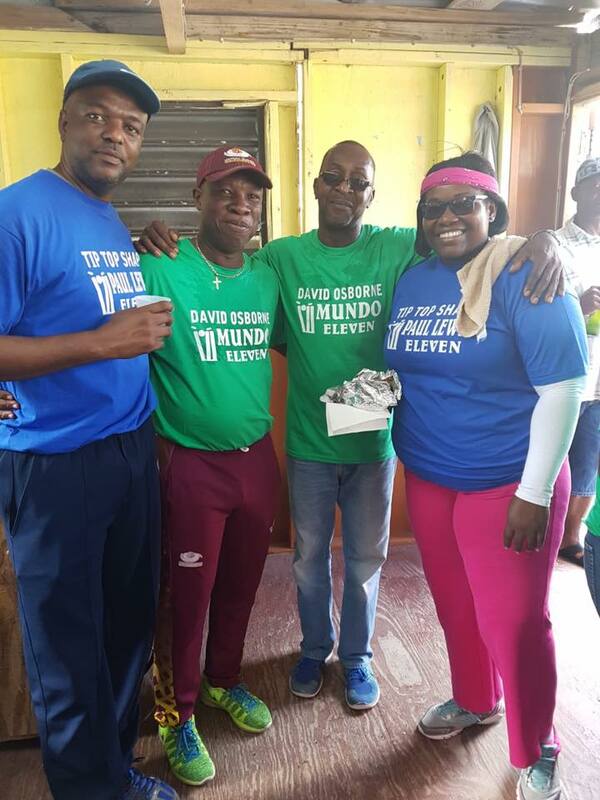 Although the on and off rain kept some cricket lovers from coming down to enjoy the festivities, much fun was had by all at the Basil Chambers Cricket competition to support his favourite local charity. On Monday, Chambers handed over cash and checks totalling $4600 to Violet Brown of Meals on Wheels. The programme ensures that the elderly, poor and indigent receive at least one hot meal daily. The Hon. Minister of Communications Paul Lewis and his team tied with the Hon. Minister of Agriculture David Osborne and his Mundo 11. Rising cricket star Jaison Peter’s Eleven beat Basil Chambers Eleven in the second game. Trophies for the winners were sponsored by Vernon Springer, Operations Manager for the Leeward Islands Cricket Board. It is not too late to give. Make your checks out to Meals on Wheels. GOM Photo of Min Paul Lewis, Vernon Springer of the LICB, Min David Osborne and Min Delmaude Ryan at the Basil Charity Match on Sunday, July 8.